빨간 트럼본을 연주하는 덕분에 별명은 Red Horn. 그레미 상(? )을 받은 앨범이라고 한다. 책에서는 이걸 추천하던데 앨범의 내용은 다음과 같다. 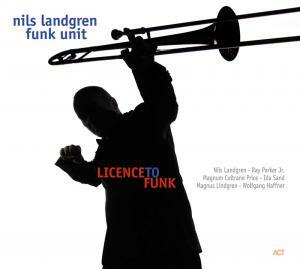 One of trombonist Nils Landgren’s early inspirations was Cannonball Adderley’s group. 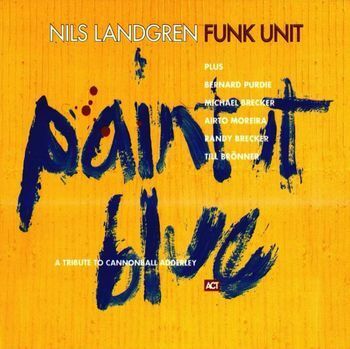 Paint It Blue is dedicated to Adderley with Landgren performing five songs associated with the altoist plus seven originals that pay tribute to Cannonball’s bands. Some of the music is in the soul-jazz vein while other tunes (particularly the originals) are more modern, even incorporating a little bit of rap in a couple places. Landgren is a fine trombonist (sometimes a little reminiscent of Wayne Henderson) and he manages to keep up with Michael and Randy Brecker, who in this situation are superior supportive soloists. Without merely copying the past, Landgren expands on the legacy of Adderley quite successfully. 내가 듣기에는 좀 현대적(? )인 느낌이 많다. 수준이 떨어진다고 얘기하는 사람들도 있는데, 음악기 듣기에 너무 대중적인 느낌이라 그런지도? ‘Funky ABBA”라는 앨범도 찾아 들어보길 바란다.